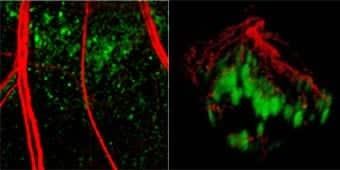 The lab develops and applies novel optical imaging techniques to provide personalized treatment options for patients, streamline drug development, and monitor dynamic in vivo changes in tissue structure and function to answer questions in basic science. This research program seeks to impact patient care, drug development and assessment, fundamental discovery, and new technology development in photonics. The majority of this work has focused on cancer, with additional investigations in vascular diseases and collaborative work spanning multiple disciplines. In the future, these promising approaches will be further validated and refined for widespread use in clinical care and pre-clinical discovery. This project seeks to break down barriers in our understanding of the dynamic behavior of cancer to develop new cures, realistically assess potential treatments for cancer, and rationally design patient care early in the course of treatment, all of which will lead to meaningful advancements in patient survival. The lab has developed novel optical imaging methods that are sensitive to cellular metabolism, which is an early, robust marker of drug response. Optical metabolic imaging (OMI) exploits the intrinsic fluorescence of the metabolic co-enzymes NADH and FAD using multiphoton microscopy. O ur preliminary data indicate that combined fluorescence intensity and lifetime measurements are essential to accurately predict drug response. We have further combined our variables into a novel “OMI index”, which provides high sensitivity to cellular drug response by quantifying cellular glycolytic levels and protein-binding activity. Current projects focus on breast, oral, and pancreatic cancer in models spanning cells, animals, and human tissues. The goal of this project is to develop new technologies to understand ischemic diseases and cancer, as well as their response to pro- and anti-angiogenic therapies. Optical coherence tomography (OCT) and hyperspectral imaging are well-suited to fill a niche for assessing microvasculature in preclinical models. In comparison to other imaging techniques, OCT fills a gap in resolution, field of view, and imaging depth. 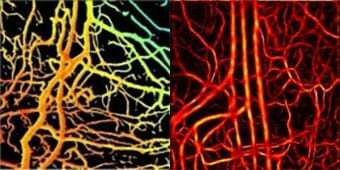 Hyperspectral imaging provides complementary information to OCT angiography, specifically on microvascular blood oxygenation. In this project, OCT and hyperspectral imaging are applied to quantitatively assess vascular remodeling over long (2-3 week) time courses in animal models of peripheral artery disease and cancer. These imaging tools have provided valuable insights into therapeutic effects and microvascular remodeling. 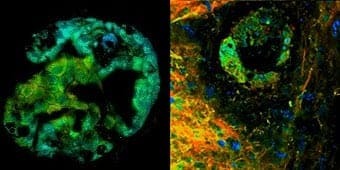 The goal of this project is to develop a unique imaging technology to advance tumor drug delivery and to provide insights into molecular signaling in eye diseases. We have developed an imaging technique, photothermal optical coherence tomography (PT-OCT) that provides non-invasive images of molecular targets at higher resolution than whole-body imaging, and at greater depths and coverage areas than microscopy. This unique technology allows for molecular imaging with OCT, and has been coupled with vascular OCT imaging techniques (see 2) to monitor drug delivery in tumors, and molecular targets in eye diseases.